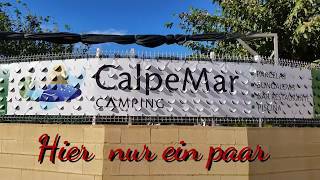 Situated on the outskirts of Calpe, this small, quiet, well maintained site is an oasis of tranquillity. With a backdrop of mountains and a view of the spectacular Penon de Ifach Nature Reserve rising to a height of 332 metres, there are great views all around. The site has 107 fully serviced, numbered pitches (10A electricity, water and drainage). The pitches at the front of the site are divided by mature hedges and on these pitches units are sited sideways. At the rear of the site there are two separate extensions, both with 12 large, fully serviced, gravel pitches with young conifers separating each pitch. Access roads and pitches are good in the new areas. The pitches vary in size (54-90 sq.m) with mature trees giving shade to some. This site is open all year. There is small bar/cafeteria, which serves a limited range of meals. As there is no shop, bread, newspapers and ice cubes can be purchased at reception in the morning. A games room, next to the swimming pool, has board games, internet and satellite television. Shops, restaurants, bars and supermarkets are all within a five minute walk from the campsite. The fine sandy beach is only a 300 m. stroll from the campsite. Two modern toilet blocks (heated in winter), one smaller than the other. Baby room. 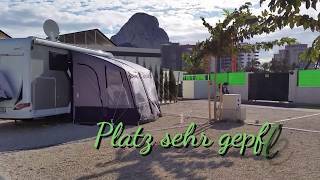 Facilities for campers with disabilities. Washing machines and dryers. 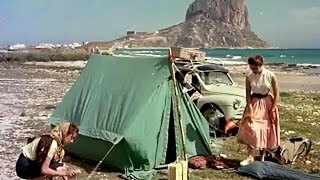 Motorhome service point. Bar and cafeteria (all year). Swimming pool (all year). Small play area (no safety surface). Safety deposit. Satellite TV. First aid cabin. Pet shower. Internet access (coin operated). WiFi throughout (charged). On E15/A7 from Valencia take exit 63 then N332 to Benissa, Calpe/Calp for 10 km. Turn left onto Via Pa Benicolada over two roundabouts, then left onto Avenue Diputacion. 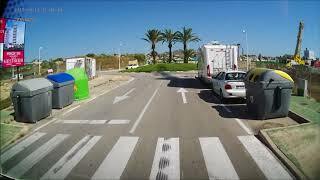 After two further roundabouts, at third roundabout follow signs to Camping Calpemar.